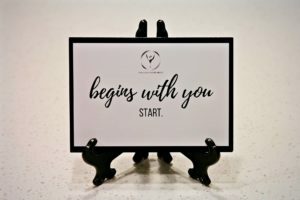 This blog post is for me—and for any other entrepreneur who needs encouragement today. Sometimes we just have to talk to ourselves, listen to ourselves and encourage ourselves. We have to practice being our own best friend. A few days ago, I had a moment where I felt this weight of uncertainty. To date, I have invested so much into building my business, and I have high standards. Even with high standards, I get frustrated when I see myself not soaring on a level that I expect for myself. And it’s even more frustrating when I witness others, who seem mediocre, receive numerous opportunities. This is all very humbling to me. Confounded, I go into my prayer closet and completely break down. I believe God counts my every tear. Each drop is an act of surrender that draws me closer to Him. God, what am I not doing? Am I not being a good steward of my business? Does my drive for excellence even matter if I’m not getting a string of opportunities? Am I on the right path? Will I have to make changes that affect my career goals? After calming down, I remain lying in the still darkness of my prayer closet and hear this silent whisper in my head: I said your gift would make room for you and put you in the presence of kings. I am building you to be in the presence of giants. And just like that, the cloud of uncertainty dissipated. My gift matters. There is something I can do that no one else can, at least not quite like me. I must continue to develop and share my gift with the world. Remember that God is my first audience. I must seek to please God first, not people. This is my offering. I will not compromise my standard of excellence in my work. With this writing, I am encouraging myself to not lose hope, sight or confidence in my business and myself—because one day my time will come. I must be my own best friend. 1. How do you encourage yourself when you’re feeling low? 2. Have you ever wondered what God had in mind for you when He created you? I’m glad you’re sharing this road to self-love with me. 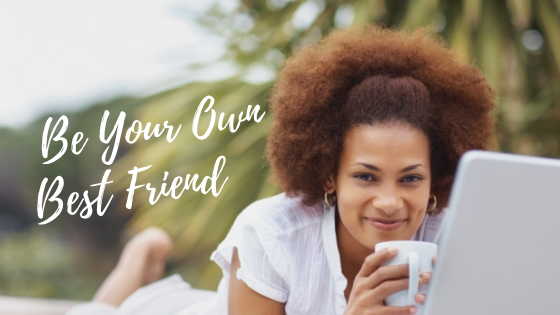 CLICK HERE to invite other friends to join our #OYO Community and don’t forget to follow me on social media for daily inspirations.